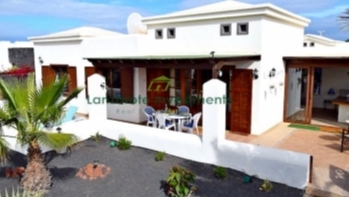 This is a unique opportunity to buy a detached villa in Playa Blanca. 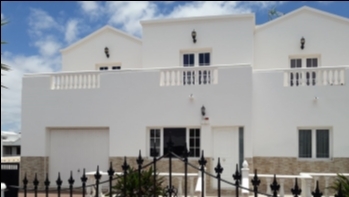 An impeccably maintained semi-detached villa situated in a well-established, gated and quiet residential urbanization close to the Playa Flamingo beach. 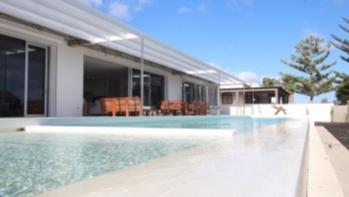 The villa sits on a 667m2 plot of land and has a built size of 119m2. The villa comprises of a separate fully fitted kitchen with ample utility area, an open plan lounge dining area with sliding doors onto the south facing terrace with a private pool and shaded and sunny areas with an al-fresco dining area. 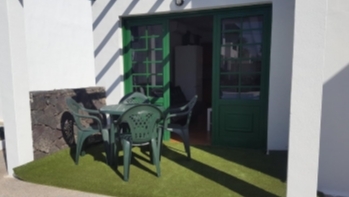 There are three bedrooms one of them being en-suite and with glass doors onto the pool area. The fourth bedroom is a garage conversion with a driveway. This villa is perfect as an investment or as a family home. Viewing is highly recommended!